Creamy milk made from cashews, water and added cocoa. This dreamy milk is incredibly easy to use in traditional recipes and is made with 33% less sugar and 50% fewer calories than low-fat chocolate daily milk. 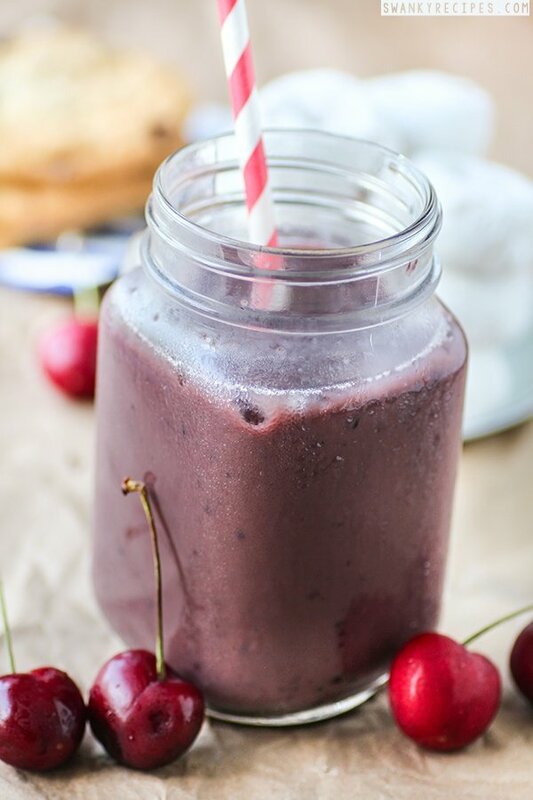 Cold chocolate cherry milkshake with sweet cherries and creamy milk. 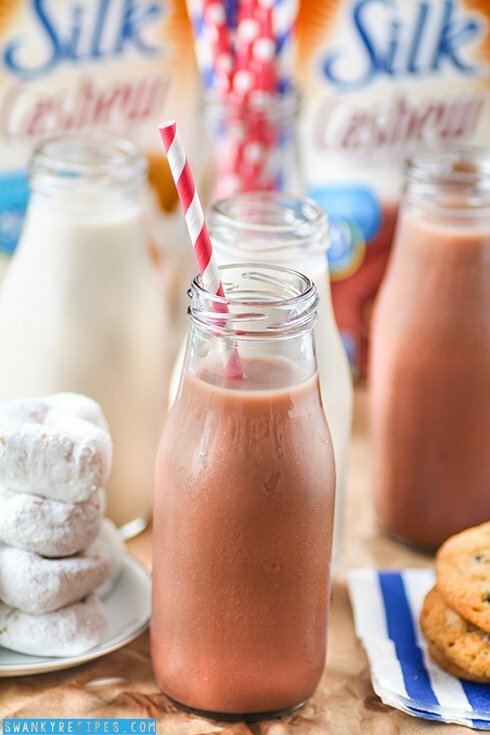 This post is sponsored by Silk® Cashewmilk and written on behalf of TapInfluence. All opinions and text are my own. Summer is in full swing and it’s incredibly hot outside which means that I’m usually in the kitchen a few times a day making something to snack on and stay hydrated with. My morning starts with fruit and milk shake and mid-day I make a spinach, fruit and milkshake with fresh produce and Chocolate Silk® Cashewmilk. 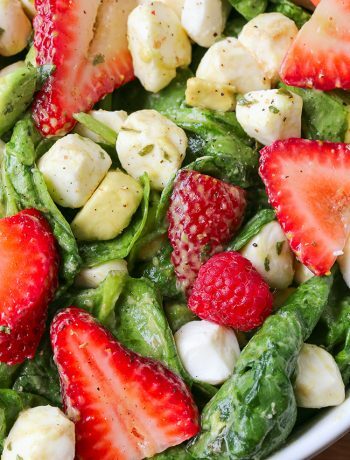 This time of year is my favorite with all the fresh fruit and vegetables that are growing in the garden outside in abundance. I like to incorporate them in drinks whenever I can. When it comes to baking and cooking, I like to use Silk® Cashewmilk to lower calories in desserts and main dishes. 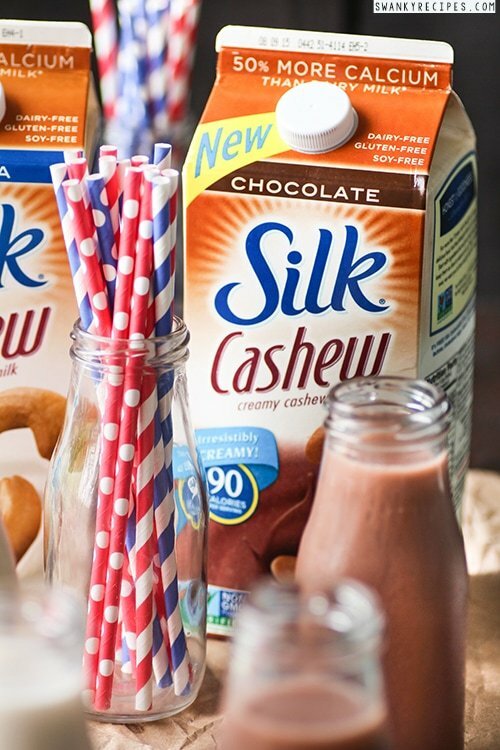 My top snacks to use Silk® Cashewmilk with include pudding, banana milkshake or any shake or smoothie, broccoli and cheddar soup, cornbread muffins, cereal and protein cookies. Our family is always on the go so we love to use this in smoothies and shakes in the morning. 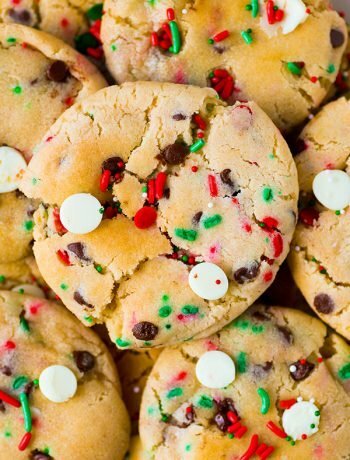 Our favorite is the chocolate and we can’t seem to get enough of it. This time of year I love incorporating fresh cherries into snacks and meals. 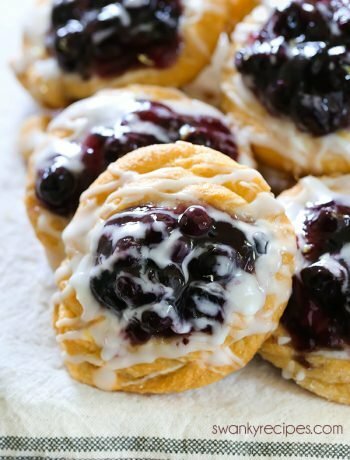 This recipe is incredibly easy to make and uses just two ingredients or three if ice is included. I like to use fresh cherries but frozen cherries will work good too. Pour Silk® Cashewmilk (I used chocolate) into a blender and place cherries on top. Blend for ab out 30 seconds to 1 minute until it’s the desired consistency. The less milk added and it’s more like a milkshake, if using frozen cherries. More milk added and it’s like a smoothie. Of course, if you’re using fresh cherries and want more of a milkshake consistency, just pop some cherries (pit removed) in the freezer until they freeze up. Visit www.Silk.com/cashew to find recipes and get a coupon upon registration. 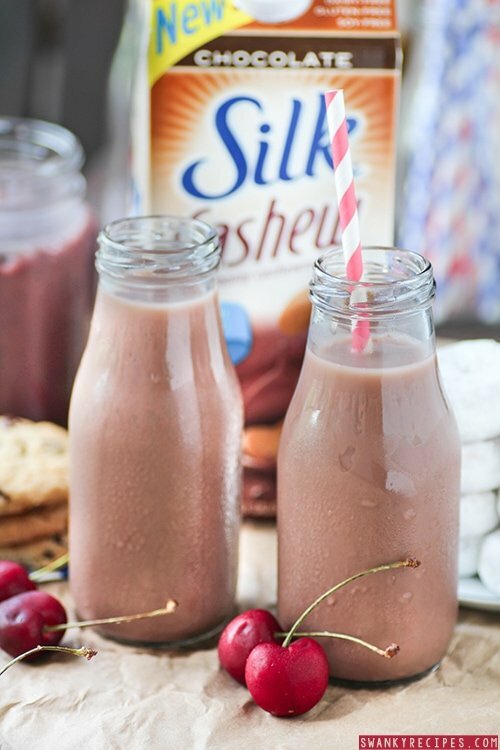 In a blender, combine Chocolate Silk® Cashewmilk and cherries then blend until smooth. Add ice and blend to desired consistency.